� Twelve opponents with different skill levels to play against, each with their own voices and animations. Opponents screenshot. � Special Hands, like Jade Dragon, One's and Nine's Pongs, and Gates of Heaven. � Integrated scoring review and HTML Help document. � Comes with 16 background scenes of Hong Kong, or you can easily substitute your own favorite images.Computer Game World gave four and a half stars to this program and says �Ar extremely good game, rich and complex.� Requirements: Wins 95 or Wins 3.1, 8 MB RAM, 800x600 video, 27 MB had disk space, 64K or more colors, sound card required. **Also for XP. 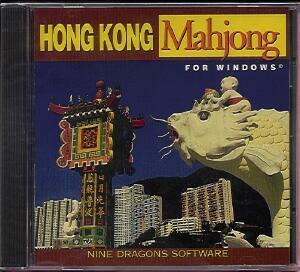 EAMJ5 Hong Kong Mahjong for Win/CD-Rom 20% Off ... $8.00 $6.40 $3.00 Buy!